Udder care is important year-round, but the winter months can present their own specific set of challenges. Low temperatures and cold wind chills can be brutal on exposed skin. Preventative measures and proactive treatments can make all the difference in udder health. Cooler weather may provide relief from issues like fly pressure and heat stress but with the change in seasons new concerns are created. As we move into the winter months, maintaining healthy teat condition can become challenging. When temperatures lower and wind speeds increase, the occurrence of frostbite becomes more prevalent. 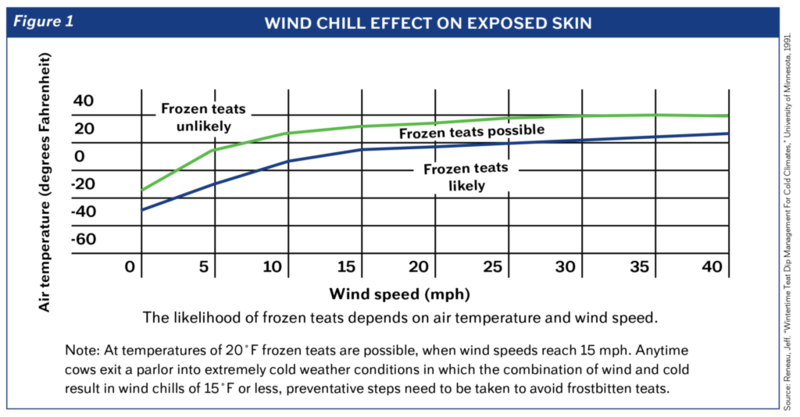 Figure 1 shows the damaging effects of wind chill on exposed skin. When wind chills reach 15°F it is time to take preventative measures to protect the udder. A good rule of thumb is if your own hands and lips are starting to become cracked and chapped, it is a good indication the weather is impacting your animal’s teat condition as well. Most farms milk two to three times a day. This means the teats are getting washed and dipped just as often, leading to chapped and cracked tissue. The skin has a natural defense layer called the acid mantel which helps to control organisms like Staph. aureus. When the teat tissue is damaged, the natural defense of the acid mantel is not able to do its job which may lead to mastitis issues. The best way to stop this damage from happening is to limit wind exposure, provide dry bedding, and use a teat conditioner mixed with your teat dip. Udder Velvet™: A low inclusion teat dip emollient agent with a botanical additive that helps decrease the risk of chapping and supports healthy teat ends. Udder Fancy™: A beeswax based salve containing healing plant oils that decrease the risk of frostbite, provide a moisture barrier and promote healthy tissue when teats become chapped or cracked. When using a salve (or other multiple use per container product), make sure to use new, clean gloves each time you go into the jar to decrease the chance of spreading bacteria from animal to animal. Another challenge in winter months, is the increase in udder edema. Udder edema in first calf heifers is four times more likely to occur in the winter than in the summer.1 Udder edema causes added discomfort and stress on these young cows during a critical time of their life. This can cause poor milk let down and change the shape of the teats, increasing the chance of developing clinical mastitis. Edema that is not addressed can cause long term damage to the support structure of the udder. Crystal Creek® Veterinary Dairy Liniment™ cream or spray can help address edema issues. Being proactive and treating udder edema immediately, can help prevent chronic problems. Veterinary Dairy Liniment™ uses contrast therapy to help reduce swelling. The natural wintergreen in this liniment initially warms the tissue increasing circulation and blood flow, while the menthol and camphor components cool and assist the lymphatic system with drainage; providing relief and comfort. The lymphatic system keeps the udder healthy by bringing white blood cells to the tissue to fight off potential infections. The additional natural plant oils in the liniment contain proven anti-microbial and anti-inflammatory properties. An animal that is in discomfort is stressed. Stress can decrease feed intake, suppress the immune system and lower the ability to fight off infections. Monitoring udder health for the first sign of problems and using the correct tool to address the issue can make a difference in overall health, longevity and profitability. The knowledgeable staff at Crystal Creek® is here to help you stay ahead of winter issues. The old adage “an ounce of prevention is worth a pound of cure,” is definitely true when it comes to winter udder care. 1 Melendez, P., Hofer, C.C. 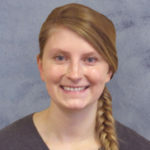 and Donovan, G. A. . “Risk Factors For Udder Edema And Its Association With Lactation Performance On Primiparious Holstein Cows In A Large Florida Herd, U.S.A.” Preventative Veterinary Medicine, 10/2006.